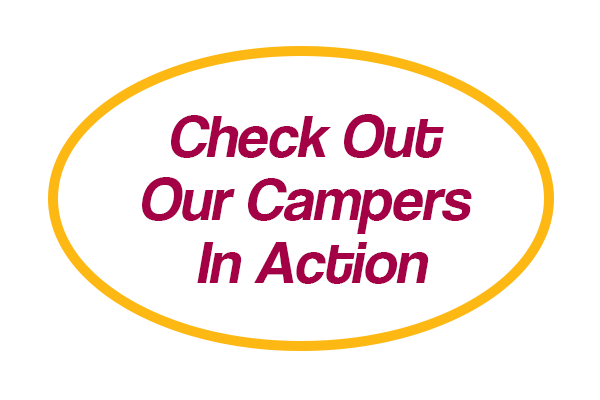 Thank you for your interest in working at Camp America Day Camp! By choosing to spend your summer working at CA you will impact the lives of children, meet awesome new friends and also develop your life and work skills. We are always on the lookout for enthusiastic, flexible and dynamic staff to join the Camp America family. There are several areas within CA to work (there may not always be opportunities within every department) but feel free to read about each area and see where you fit best. All CA staff are required to have a Pennsylvania state police criminal record check, Pennsylvania child abuse history clearance and Federal Bureau of Investigation criminal background check which includes fingerprinting. Are you a pre-school teacher? Are you a mommy that has a background working with young children? If so this may be the position for you. Midgie Mommies are in charge of our youngest and most precious campers ages 2.5 to 5 years old. These campers need a leader who is attentive to their developmental needs whether it be help with toileting or just a simple hug letting them know that they are safe in our care. Midgie Mommies must be patient, kind, loving, organized and helpful. Our enthusiastic and attentive senior bunk counselors are responsible for the safety and well-being of a specific group of campers. All groups are divided by age and gender. Senior bunk counselors are required to have a love of fun, but at the same time understand that it is all about the best interests of the campers. Bunk counselors must be willing to participate in all camp activities including swim. Senior Bunk Counselors must be able to commit to the full 8 weeks of summer in order to be considered for the position. Specialists are what make Camp America a traditional day camp. Specialists are required to be knowledgeable in their specific areas and have had certified training. Specialists work in a designated area for a full 8 weeks of summer. They are responsible for developing a program that is dynamic and fun for every age group. The pool staff at Camp America are an elite team of trained swim instructors and lifeguards. We require that all pool staff have a current and valid American Red Cross life guarding certification which includes first aid and CPR. Each member of the pool team is dedicated to the progression of every campers swimming ability. Following the American Red Cross Learn to Swim Program, each instructor is assigned a group of campers who are all working at the same level and who they will have the pleasure of working with throughout the summer. Senior pool staff will evaluate their campers twice throughout the summer and send progress reports to the camper’s parents. Junior Counselors at Camp America Day Camp are typically graduates of our CIT (Counselor in Training) Program, however if you did not have the opportunity to go through our program and would like to aid in the development of our campers we encourage you to apply. Junior Counselors should be motivated individuals that love to have fun and understand the responsibility required to care for youngsters. All members of our staff are required to provide Camp America with all state clearances. For more information regarding these clearances please click here. CHILD ABUSE CLEARANCE – Must be renewed every 5 years. PA CRIMINAL RECORD CHECK – Must be completed every year by all staff. Staff 18 years of age and older. Must be renewed every 5 years.